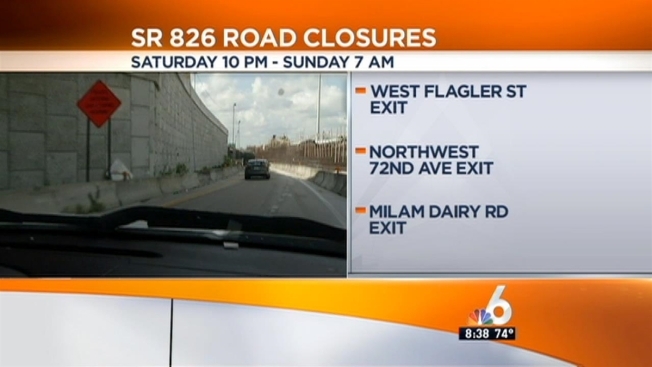 Motorists on the Palmetto Expressway will be dealing with some closures from Saturday night into Sunday morning. All northbound lanes of the Palmetto Expressway/SR-826 will be closed at the West Flagler Street, Northwest 72nd Avenue, and Milam Dairy Road exits. The closures will take place from 10:00 p.m. Saturday through 7:00 a.m. Sunday. Drivers are advised to take alternate routes during that time.